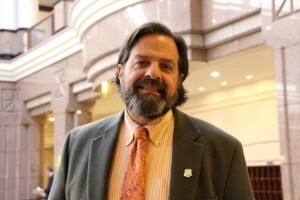 AREAWIDE — State Representative Philip Miller (D-36th) is applauding a recent announcement by the Connecticut Higher Education Supplemental Loan Authority (CHESLA) that it will offer a fixed interest rate of 4.95 percent for new student loans, down from its current rate of 6.75 percent. The rate is also significantly lower than the upcoming Federal PLUS loan rate, which will be 6.84 percent, and is the lowest rate CHESLA has ever offered. CHESLA will also be increasing the maximum allowed debt-to-income ratio from 40% to 43%. These money-saving changes follow legislative passage of House Bill 6907, which asked CHESLA to develop a plan to lower student loan interest rates and increase the maximum allowable debt-to-income ratio. These cuts and lower interest rates, along with student loan forgiveness schemes becoming more common, should really help students manage and prepare for their loan. Rep. Miller said students and parents can contact CHESLA at www.chesla.org for additional information or call (800) 935-2275. Editor’s Note: Philip Miller is state representative for the 36th Assembly District comprising the Towns of Chester, Deep River, Essex and Haddam.